The Santa Fe Trail Tracks site (Dodge City Ruts) is located west of Dodge City, Kansas, on Highway 50. The ruts are visible in the landscape, which can be seen from a boardwalk. 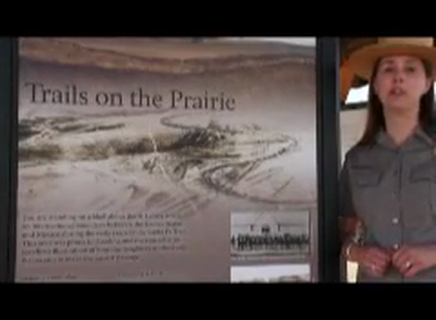 There is also a kiosk of exhibits about Dodge City Ruts and where else you can travel east or west along the Santa Fe Trail. Scroll down for more photographs.